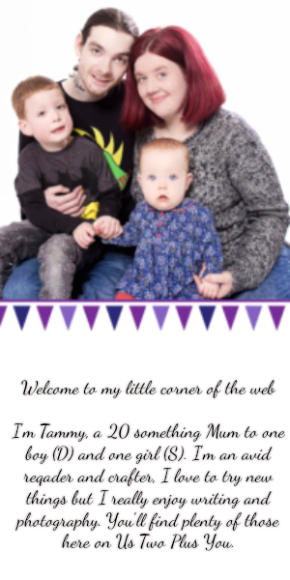 If you are a regular reader of mine you will know that I have been making daily trips to one appointment or another for the last few weeks and in general these trips have been to my doctor's surgery which is actually around an hour to an hour and a half away! So that has meant daily trips that can take up to and sometimes beyond 3 hours. During that time I usually do get hungry at some point and I will admit I haven't been leaving prepared with snacks and have been eating whatever takes my fancy in the nearest shop. So when I was contacted about trying Taste Inc's new 100% chargrilled chicken fillets I got pretty excited! They sounded like the product I didn't know I had needed. Taste Inc are a brand of snacking products which are produced here in the UK and are a brand which put taste at the forefront of the products they create. They produce healthy snacks using sustainable sourced ingredients. Taste Inc 100% chargrilled chicken fillets are just that, a steamed and chargrilled mini chicken fillet in a small packet. They come in two varieties which are spicy and original. The spicy version has a peri peri marinade. The packs are to be kept in the fridge and come as a single pack with one fillet or in a fridge pack of 5 which you can pull apart to take them with you on the go. They are the perfect addition to any lunch box or to simply pop into your bag on your way out to appointments (my main use for them!). One thing I noticed as soon as they arrived was their ingredient list and I was pretty surprised that I knew all the ingredients listed! That is something that I try to do with many of the products we use. I hate the thought of buying food for taking with us on the go and not actually knowing if it is as good for us as we are led to believe! I know that many foods made for those of us who have a busy life and snack while we are out are certainly not the healthiest options we could make but Taste Inc 100% chargrilled chicken fillets are in that category for me. Both the original and the spicy fillets are high in protein, low in saturated fat, salt and carbohydrates which makes them a fantastic healthy option to have around! I was most excited about the original one before they arrived as I would normally prefer things I eat to be quite normal and not really up there on the spicy scale. I actually wasn't the biggest fan of the original chargrilled chicken fillets and D ended up eating the last two! Now I am not saying they didn't taste nice as they tasted just fine and in fact reminded me of eating chicken made on the BBQ in the summer the day after the actual BBQ (because it just tasted better the next day!). They didn't get me too excited nor would I choose them over the spicy version which also reminded me of BBQ chicken but just a spicier version. In all honestly I do think this is one of my pregnancy things as I have been enjoying food that is much spicier than normal. 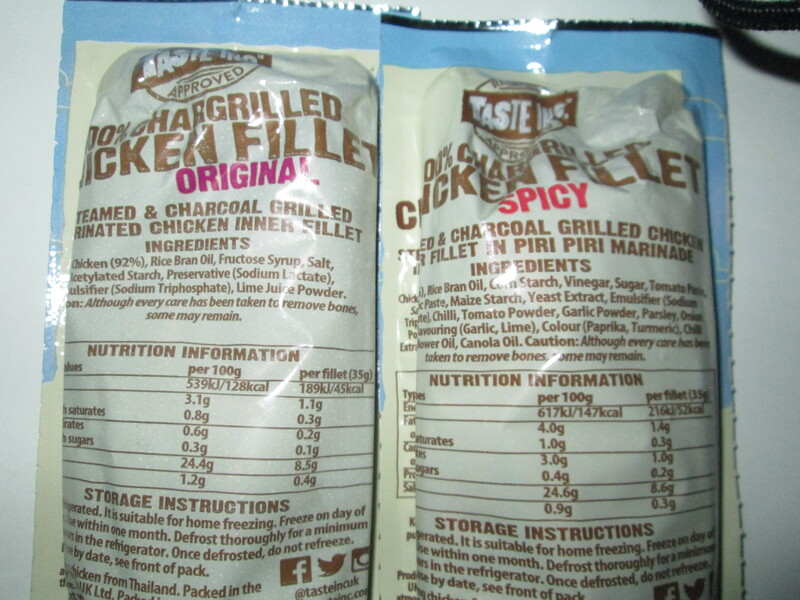 One thing I really loved about the 100% Chargrilled chicken fillets is that you can eat them straight from the packet! This meant that while I was walking or sitting on the bus I was able to snack on the chicken fillets by simply tearing open the pack and eating it. This worked out to be perfect as I found the spicy fillets to leave an orange colouring from the spice rub on my fingers when I touched them which is fine at home but would cause problems if I was out. 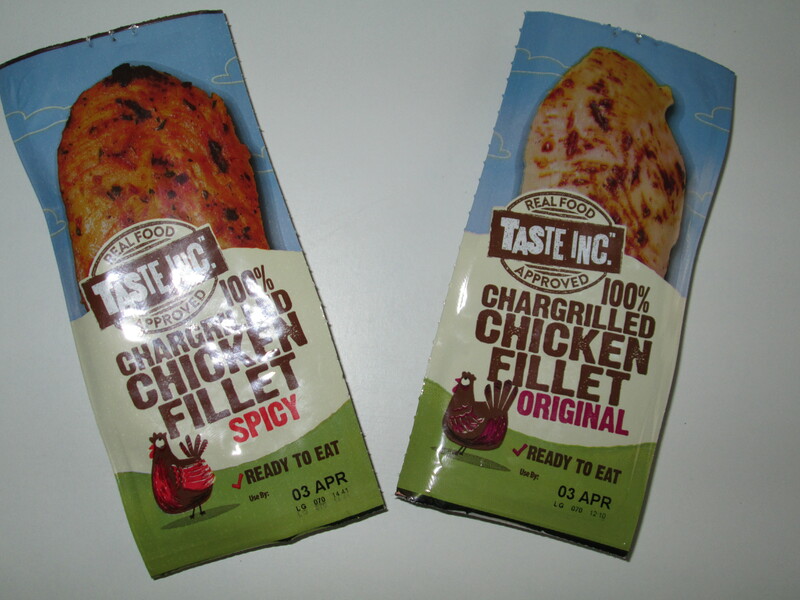 Not only are Taste Inc's 100% chargrilled chicken fillets perfect for when you are out and about but they are great for adding to meals, wraps, salads and sandwiches along with many others that I simply didn't think of to try. I did really love being able to add the fillets to salads as simply making a fillet to add into a salad actually takes a fair bit of time especially if you want to add extra flavour to it with a rub or marinade. 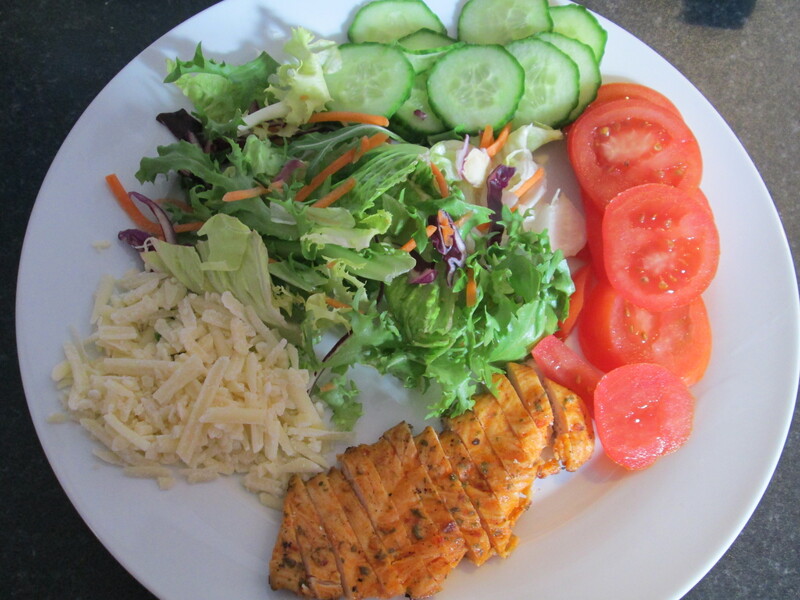 Using the Taste Inc 100% chargrilled chicken fillets with meals and salads meant that even if I was running late with lunch or dinner or really needed to eat something quickly I could still have a healthy and balanced meal. Most importantly it was also something I would enjoy! As you can see in the above picture I loved to pair the spicy fillet with a quickly put together salad for a quick and easy lunch. I did also add the original flavoured fillet to some rice, peas and sweetcorn which has been one of my go to quick meals recently and this really made the simple dish that little something more. I did forget to grab a picture of that one. 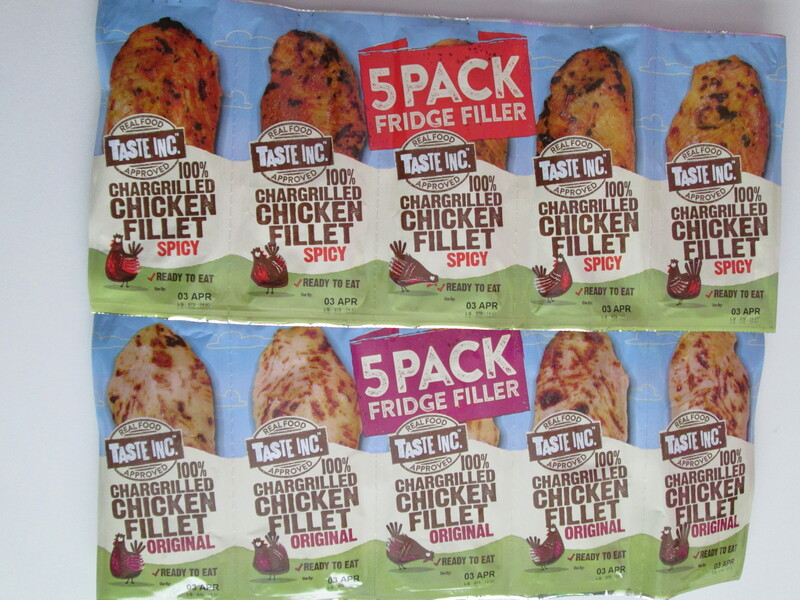 All in all I would say that the Taste Inc 100% chargrilled chicken fillets are a great addition to our fridge for a variety of different reasons and I have in fact got them on my shopping list to purchase more when I make my next shopping trip! I loved them as did Simon and D who both preferred the original fillets to the spicy fillets. They are perfect for anyone with a busy schedule and I would recommend them to anyone who snacks on the go and even those of you who find they need quick and easy meals that don't take 20 minutes to prepare. You can purchase your own fridge pack (£3) or individual packs (90p) of Taste Inc 100% chargrilled chicken fillets in Morrisons (Currently only have the original fridge pack available online), Ocado or Nisa. Disclaimer: I received these products in exchange for an open and honest review. All thoughts and opinions expressed are my own.